Shin Yeong Joo’s (Lee Bo Young) father is arrested on a murder charge he didn’t commit. 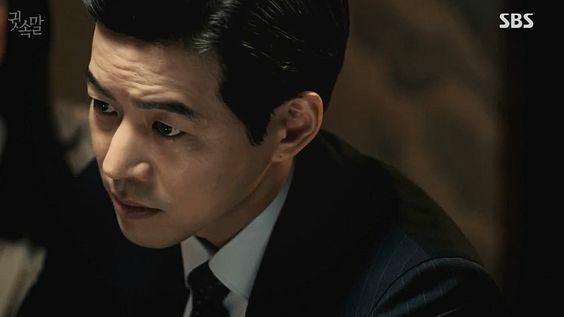 Lee Dong Joon (Lee Sang Yoon) is a judge famous for being incorruptible and convicting only based on clear evidence. Yeong Joo trusts Lee Dong Joon to clear her father of the false charge but Korea’s top law firm Taebaek with its crooked lawyers forces Lee Dong Joon to announce him guilty as charged. 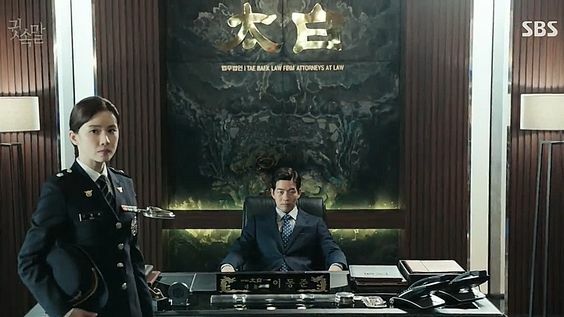 Shin Yeong Joo and Lee Dong Joon start working together to punish the people behind the case. I have to admit that where Whisper is not the first law/revenge melodrama I have watched until the end, it is the first one I have enjoyed watching till the last moments. With 17 full length episodes for a revenge melo it’s not easy to keep the plot sane (by this I mean starting to get more and more ridiculous with its twists) but Whisper managed to do that and actually deliver twists and turns that weren’t overly done. The sides and schemes changed fast but remained interesting and managed to keep me watching. 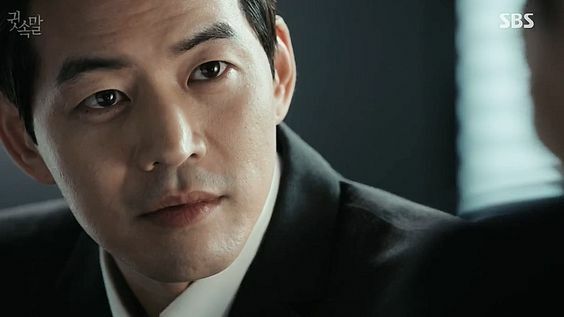 The acting from all of the cast was superb but like I mentioned in the CW for the drama already Lee Sang Yoon’s facial expressions (especially his eye brows) really kept me staring at my screen. There is just something about him that captured my eyes every time he came onto the screen! I liked Lee Dong Joon’s character too. He was not a bad man. Life forced him to make hard choices and like any other person, he thought of himself first (at least in the beginning) and if necessary he bended his beliefs and survived to fight another day. In the end he changed, yes, and that was partly due to Shin Yeong Joo. She reminded him of what he believed him and pulled him back to the light before he was too far gone. The romance between Lee Dong Joon and Shin Yeong Joo was not forced. It is common for dramas to force the romance when it has never been that drama’s best point but here that didn’t happen. The romance between the two was there but it was not forced or overly stressed. It was an underlying tone that enhanced the drama. If I try to find fault in something it will be the fact that Kang Jung Il (Kwon Yool) and Choi Soo Yeon (Park Se Young) fell apart so easily and early in the drama. I wished they would have been together until the end of the drama, trying to help and escape the law together. Their falling out didn’t ruin anything but in the beginning when they were together I really, really loved seeing the two of them scheming together. The filming (ah, the close cuts), music (oh, the drama of it all) and the emotion charged lines: I loved them all! They made the drama what it was meant to be: a melo. They were well thought and even better implemented. 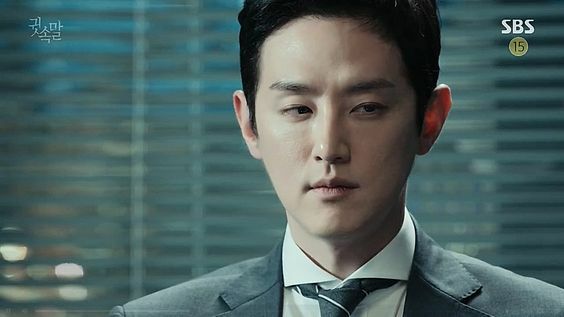 The ending of the drama showed what the drama had been all about from the beginning: getting the bad guys brought to justice while avoiding traps and trying to scheme better plots than your opponent. All in all a satisfying ending.